Ridge is ready to fight fire with fire to take down Quinn. 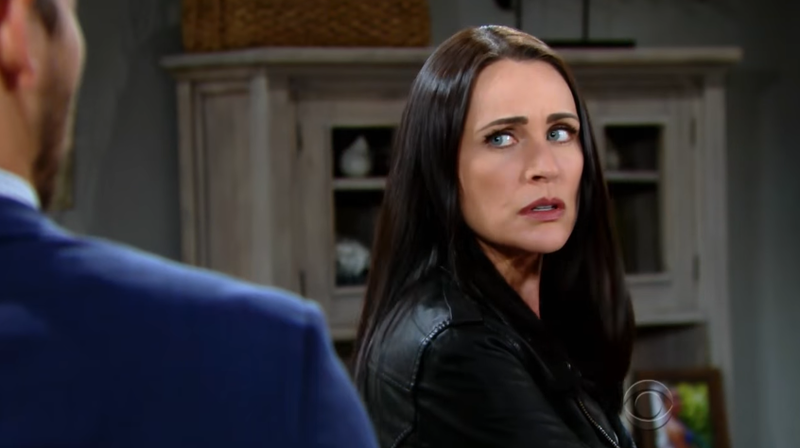 What's happening on CBS soap opera The Bold and the Beautiful during the week of January 9-13, 2017? Check out the day-to-day spoilers and a sneak peek video below to find out. Eric puts a monetary value on Steffy's future; Brooke gives Ridge a chance to get rid of Quinn; Steffy tells Liam about her moving plans. Wyatt and Quinn commiserate over tequila shots; Steffy considers how to deal with Wyatt. Bill offers Brooke something she can't get from Ridge; Wyatt tries to get Steffy to see he is better for her than Liam. Thomas returns to work under Steffy; Eric unwittingly gives Ridge a chance to get back at Quinn. Ridge's change in attitude confuses Quinn; Wyatt tries to get Liam to admit that Quinn has good traits.